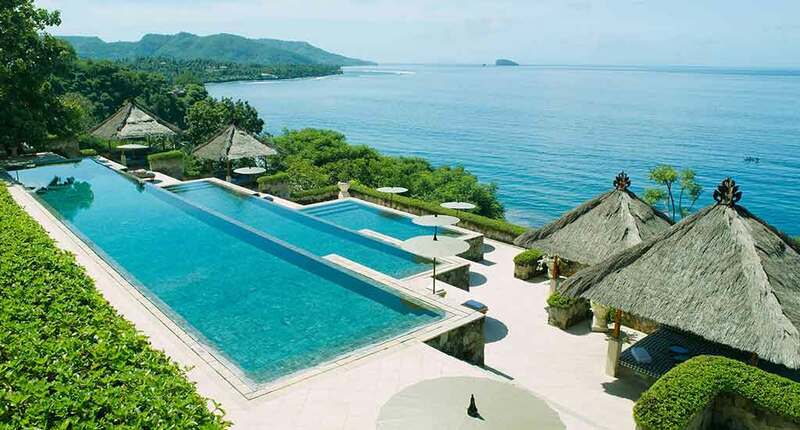 The Amankila Bali Resort is located in the Karangasem Regency in East Bali. 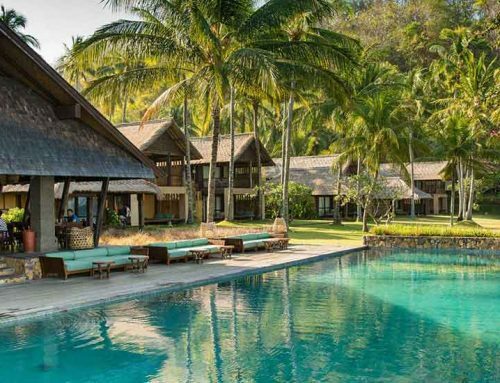 Like all Resorts of the highend Aman group, the resort provides royal service and an extraordinary architecture of its buildings. The hotel provides free transfer from the International Airport Ngurah Rai to their place, what is an one-hour drive away. 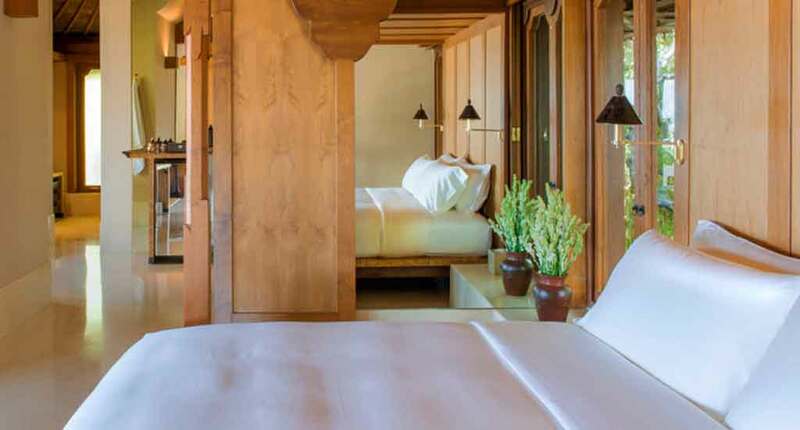 The Amankila offers 34 free-standing suites including six different styles. 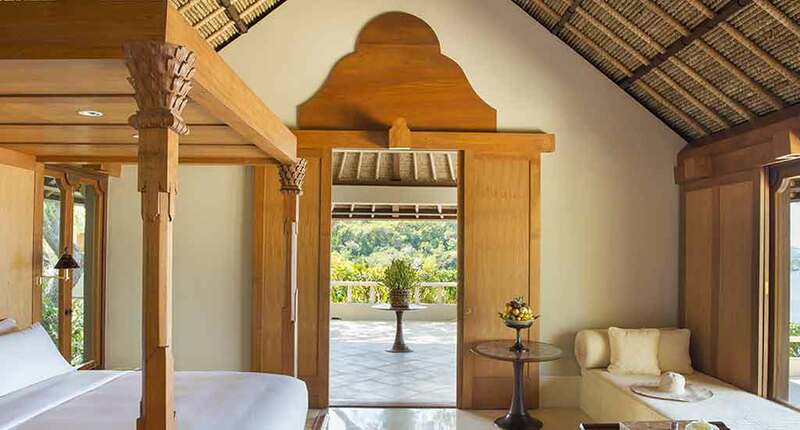 You can choose between Amankila Suite, Indrakila Suite, Kilasari Suite, Pool Suite, Ocean Suite, and Garden Suite. Whatever type you choose, you will get overwhelmed by the landscape seen from the private outdoor terrace in front of your Balinese house. Indeed, it’s too spectacular not to get in love here. All suites offer Wi-Fi, sound system, safe and TV on request, personal bar, coconut-shell table and rattan chairs. 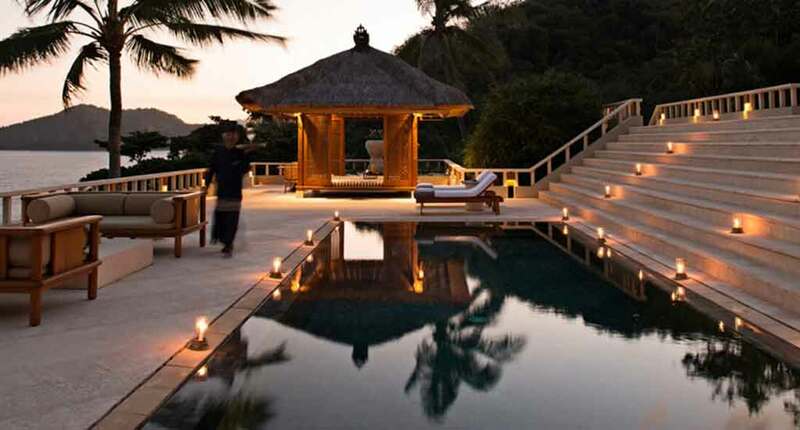 Moreover you will have a private lounge pavilion and a bathroom with bathtub and extra dressing area. 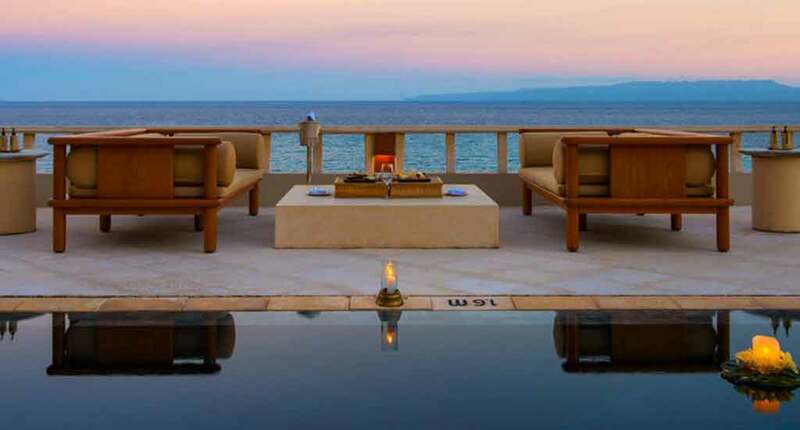 Outdoors you will have a private terrace with a stunning view, also private pool suites are available. What about dining? 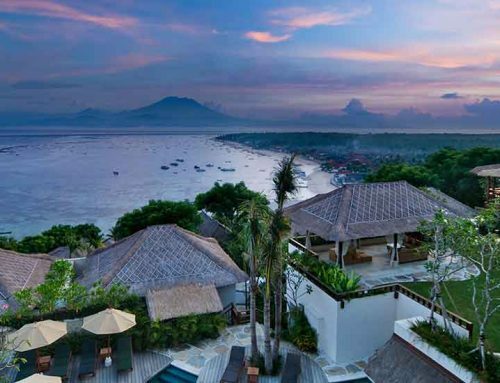 The meals are based on fresh seafood and fish delivered every day from the Bali Sea. Cocktails, good mood, and a beautiful sunset in front of you will make you feel like you are dreaming. For couples, there is an opportunity to take dinner directly on the beach. You will have even a personal master chef and a waiter. In order to create amazing memories, you will have lanterns, flowers around you and a stunning sunset. 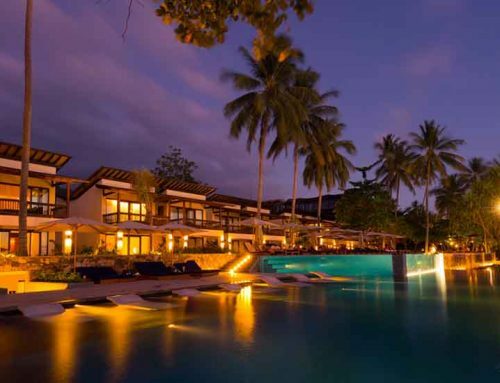 Moreover the resorts spa pampers you with exclusive treatments like Cinta Therapy for individuals or couples. Moreover, there are also yoga lessons at the beachside pavilion. There are a lot of interesting attractions in the surroundings. First of all, you should visit Pura Besakih – the largest temple of the Hindu religion in Bali. It was built in 1284 to serve as a sanctuary to the locals. Second, there is Tirta Gangga, a huge royal palace built on water area. The palace was projected in 1946 and consists of pools, fountains and expressive gardens. 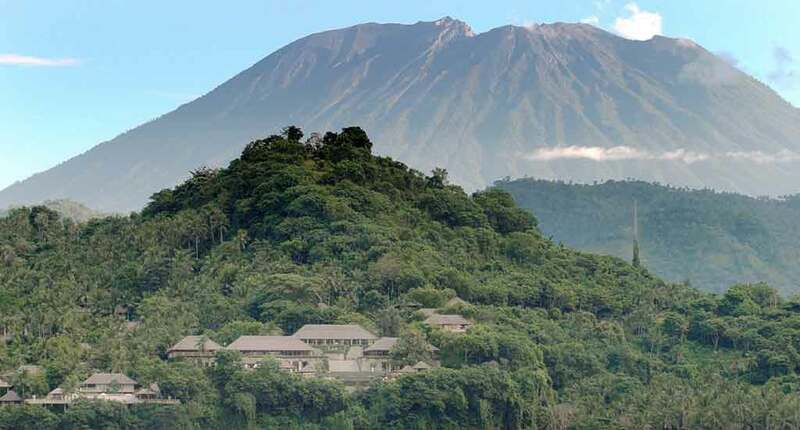 Of course, you can also do day trips to the city of Ubud or plan a mountain trip to one of the volcanos Mount Batur and Mount Agung. 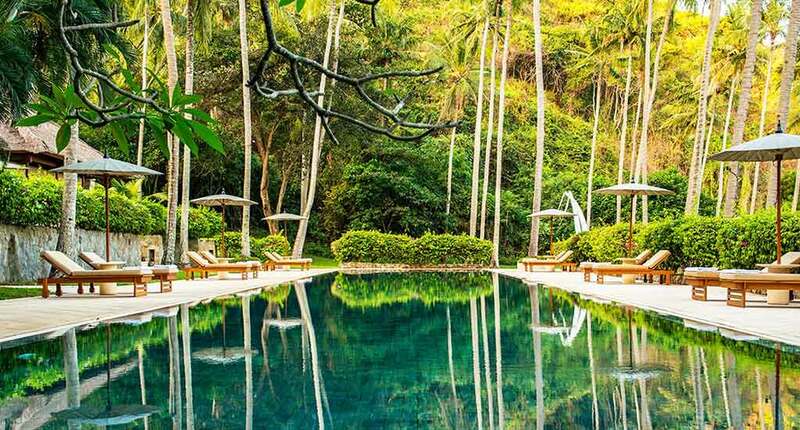 The Amankila as part of the Aman group is one of the world’s most exclusive holiday destinations. 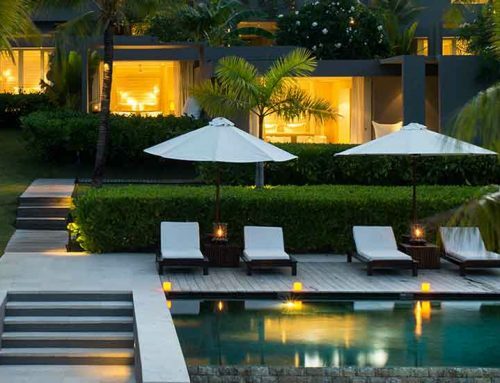 You can expect highest standards, pure relaxation, privacy, stunning views, and the beauty of nature in perfection. What an unique place to forget the world around you. Address: Jl. Raya Manggis, Manggis, Karangasem, Kabupaten Karangasem, Bali 80871, Indonesia.